Wall mounted single lever mixer. Hand polished to a matte or polished finish. Also available in our exclusive PVD finishes Black Steel, Titanium, Rose Gold and Gold over matte stainless steel. Solid stainless steel built-in kit X49.1020 to be ordered separately. Unique design concept with control mixer on the head of the faucet. The finely knurled handle gives a good grip also without the stick lever. 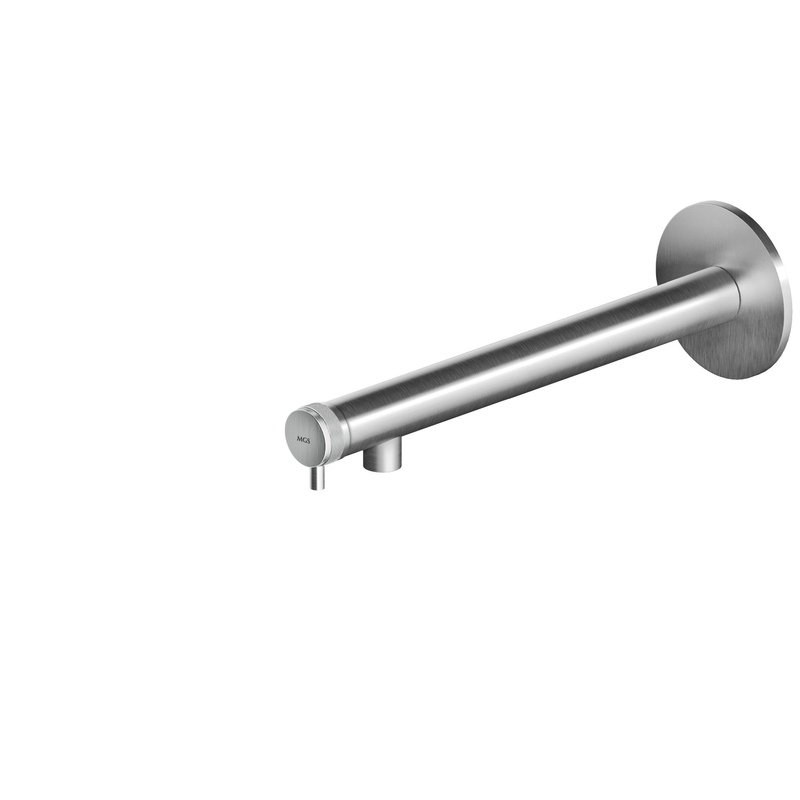 Supplied with the short stick lever and with a stainless steel cap: you decide if you prefer it with or without lever! Pop up waste is not included.